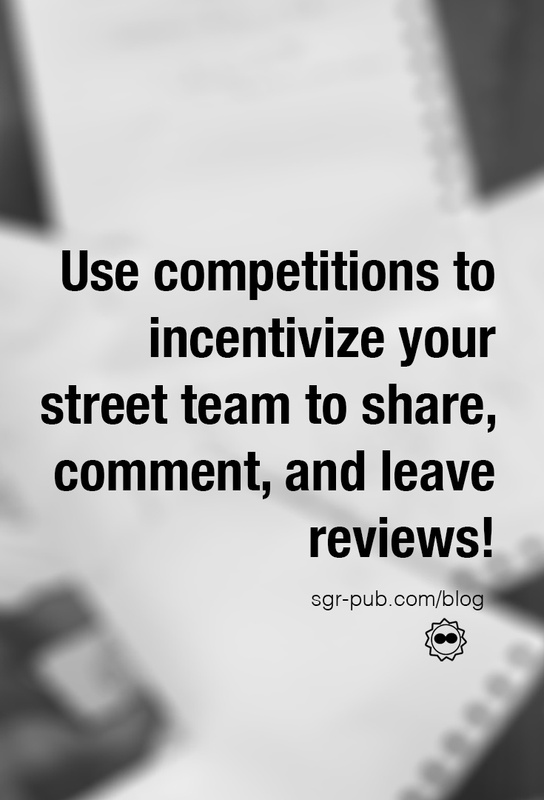 What is an author street team? Well, in a nutshell, it’s a group of readers who you can call on to help promote and market your book. In return, they get early access to books and author swag. It’s one of the most effective marketing tools–if done right. If you’ve been following along in our marketing blog series, you’ve probably seen a common theme around soft selling. This is the art of creating good relationships first, then using those relationships to market your book. From bloggers to your social media followers, people want to get to know YOU first. Converting those social media relationships into a street team is fairly easy. Think about the fans who always comment, always share, who are always asking questions. These are the folks you should invite to join your street team. There might also be others lurking amongst your followers who’d be game, so be sure to talk about it. A few weeks ago, we wrote a post about Facebook groups, and we really like that platform for managing your team. However, be advised that not everyone (especially the younger crowd) is still on the Facebook bandwagon. We’ve also used Twitter groups and have played a little bit with Instagram Direct Message groups, but they aren’t as well-organized. If you’ve joined any sort of fan group on the internet, you probably joined because of the celebrity or TV show, but stayed for the community. 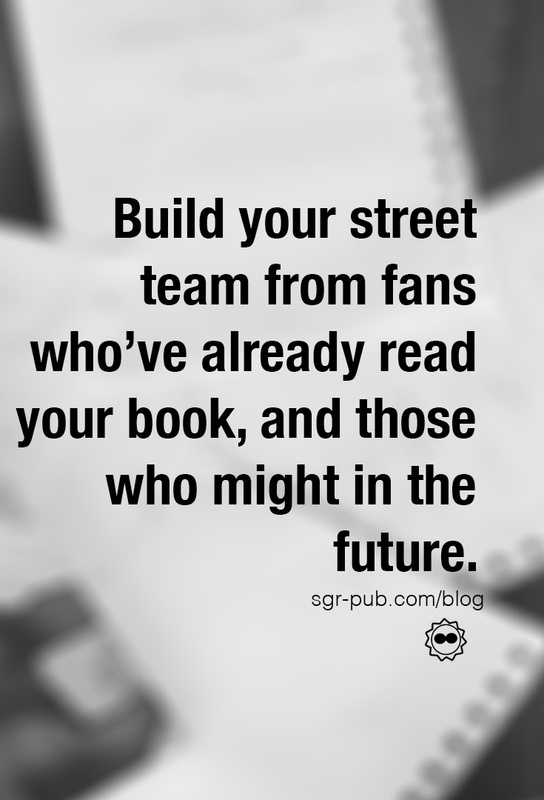 That’s exactly how you should be building your street team. Although the point of the group is to talk about you and your books, mix up your content with questions, discussion posts, or even guest posts. This is especially important when you aren’t actively promoting a book. If you’re using a content scheduler tool like CoSchedule, you can even schedule these questions in advance, making sure that content is posted on a fairly regular schedule. Don’t forget to respond to comments, though! When you are gearing up for a book release, your street team can be a valuable asset in your marketing arsenal. One of the things we like to do is to run competitions within the street team that rewards them for sharing, commenting, or posting their own original content. We figure out what our end goals are (more reviews/more sales/more organic reach/etc) and then design the competition to reward players for taking those actions. For most of our competitions, there are various levels resulting in bigger prizes. In some cases, each person earns points for themselves, but we’ve also split the street team into competing factions. Prizes start out small–bookmarks and postcards–and have gone all the way up to coffee mugs and tote bags. A tweet or a Facebook comment would be a single point, whereas a review on Amazon would be twenty points. We also award extra points for cross posting to Goodreads, Barnes and Noble, and any other eBook store out there. Have you ever participated in a street team? Tell us about it in the comments! And if you want to join S. Usher Evans’ street team, check out all the information here! Want to learn more about this subject? Need some help with editing, marketing, or even just one-on-one help? Contact us for a quote! We can't wait to work with you.